Strength of Field: LA is the poker capital of the world and almost all of the world's top players (aged 21 and up) attend this event. At the late stages of these events, when the majority of the riff raff is gone, the play is high end. Tournament Structure: It's the perfectly structured tournament. Matt Savage runs the joint now and assures that the antes are the right size throughout the tournament, and he even added an unprecedented 900-1800 level to add even more play. Field Size: This is the WPT's most popular event and it always has a large field. The Commerce is the absolute perfect card room, dedicated solely to poker, and there is a monster room dedicated to just the tournament so that there is no need for more than one day one. Strength of Field: While there are tons of qualifiers in the event, the field is also jam packed with all of the hotshot online players aged 18-21 that you don't see in tournaments where the age limit is 21. They are very aggressive and fearless and can cause you lots of problems. Tournament Structure: It's decent. Play is a little fast on day one as the limits are not 90 minutes, but there are plenty of intermediate levels without any 50% jumps along the way. Field Size: There were over 1500 players at this years event and all expectations are that next years field will be even bigger. Strength of Field: There are hundreds of heads up specialists online and the majority of them are in this field which makes it very tough. Couple that with all of the big names looking for a bracelet and you have a very strong field. Tournament Structure: As is the case with all WSOP events the structure for this event is also top notch, giving players plenty of play. Field Size: It's a big field for a 10k event, and as mentioned, the majority of the entrants are going to be tough. While many of the names may be unknown to the public, many of these unknowns come from the online world and are tough. For a heads up event, it's the biggest field of the year. Strength of Field: The buy in is of decent size, at 10,000 Euro and that weeds out a lot of mediocre players, however, PokerStars, as always, does qualify a lot of players. The event is full of internet hotshots, but it also does draw a decent amount of local players that aren't that tough. Tournament Structure: It's the deepest structured tournament of any EPT and it gives players plenty of play with 90 minute levels. Field Size: Also draws the biggest crowds on the EPT as it occurs directly after EPT San Remo so those that didn't do well there, as well as those who did, make the short drive down the road to play in the Grand Final. Strength of Field: Obviously everyone plays in this event so all of the top players will be present, but overall it's one of the softest fields of the year thanks to the sheer number of qualifies. It's the "big one" and everyone wants their shot at glory. Tournament Structure: With two hour levels, it remains the only event in the world with levels that long. A luxury the WSOP has, since the event takes close to two weeks to complete. Field Size: Um, ya. This is kind of a big deal and the main reason this event makes the top ten despite field strength being so juicy. It's a massive event. Strength of Field: It's a tough event. The WPT doesn't really have much of a qualification process for any of it's events and that's also the key reason why numbers have dropped recently. People point to the economy, but the NAPT, and the PCA proved that it's less about the economy than it is about online satellites. Tournament Structure: The Bellagio structures have changed for the worse over the last little bit, so it will be interesting to see if they right the ship or continue down the wrong path of simply adding more chips to correct the problems with it. There is too much play early which takes away key levels later on. Field Size: It's not a small field, but it's not huge either. Expect something in the 350 player range. Strength of Field: The inaugural event was tough as nails! Every table was full of skilled players from the net, or old school pros like Hoyt Corkins at it. The NAPT Mohegan Sun event will likely be equally tough. The inaugural event was an invitational, but at Mohegan, it is open to any and everyone who can pony up a cool $25k. Tournament Structure: The structure at the final table was very deep and took over 12 hours to complete. That's a 7 handed final table! It's pretty deep, and the preliminary round at Mohegan Sun will also have added play and longer levels. The key aspect of this structure that separates it from other events is the fact that you get no reward for folding your way down to three players. It's win or go home, which requires a player to have a vast skill set. He needs to be skilled at ring games as well as short handed, and heads up to make the final table. The bounty element also adds even more high level thinking to the event that you just don't really see anywhere else. The players who played in the event, all loved it. Field Size: The first event drew 49 players, but with registration opening up to the public, as well as guaranteed coverage on ESPN2, you can expect to see more entries at Mohegan Sun. There will likely be a cap of 100 players, and I expect to see about 70-75 of the world's best in attendance. Field size will also be determined based on whether or not FTP changes it's policy for it's sponsored players. FTP sponsored pros were prohibited from playing in the bounty shootout event. Many of them were invited, but apparently upper management made the decision to pull it's players from the event. Either way, the event will be well attended. Strength of Field: Virtually no qualifiers, it's overseas which means only the best players travel for it, and a high buy in, equals a very tough no limit hold'em field. Tournament Structure: As is the case with all WSOP events, the structure is just incredible. Field Size: It's not a huge field, but first place always earned more than a million dollars. Field Strength: This is the inaugural event, but I can assure you that the field for this event will be tough as nails. You simply cannot fluke a win in this event. You will likely see a 6 handed final table dominated by top notch online players and 6 handed cash game specialists. You can't run and hide 6 handed. You have to get in there and play. Bad players beware, don't enter these waters unless you can afford $25,000. 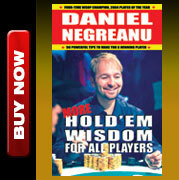 This event will require the most advanced skills of any no limit hold'em event in the world. I'm afraid they may not be names the public know, but this event is destined to crown a worthy champion. Tournament Structure: The structures for all WSOP will be solid. No worries there. Strength of Field: This event won't have many, if any qualifiers in it, so you are left with sponsored pros and those with bankrolls big enough to pay the $50,000 entry fee. The event WILL be back on ESPN after a one year hiatus, and the format has reverted back to it's original form with a bit of a tweak, adding 2-7 triple draw, NLH, and PLO to the mix. The final will be no limit hold'em. 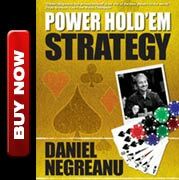 Tournament Structure: What the structure of this event is designed to do, is to crown the best all around poker player across 8 different disciplines, emphasizing no limit hold'em skills in the end game. This is the coolest event of the year bar none, and the structure gives players plenty of play. Field Size: As expected last year we saw about 1/3 of the field gone with the absence of ESPN coverage. I was kind of pissed about it, and predicted the decision would be a mistake. With no TV coverage, you lose many of the sponsored pros who aren't rolled for a $50k buy in event. With ESPN back on board, as well as the addition of big bet games to attract the younger guys, the prestige of this event will be restored, and you can expect to see a field between 140-155 players. While many made for TV events offer strong fields in terms of strength, they were left off the list due to a combination of tournament structure and field size. Events like the Premier League, NBC Heads Up, and Poker After Dark, all boast strong starting fields, but the made for TV events have such fast paced structures that there is little room for high level poker to be played. Also omitted from the list were online events. There are several online events that boast strong fields, with good field sizes, and decent structures, but online poker is a completely different animal so no online events were counted, although, you'd be foolish to not marvel at the accomplishment of winning the WCOOP main event on Stars. I hoped you enjoyed this, and I look forward to hearing Gary Wise, Andrew Feldman, B.J. Nemeth, Bernard Lee, and the rest of the poker media cronies dissect my thoughts.